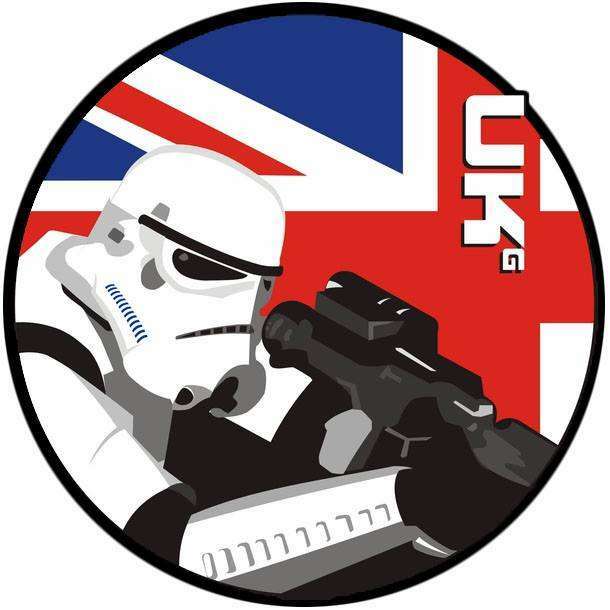 May The 4th (& 5th!) be with you! 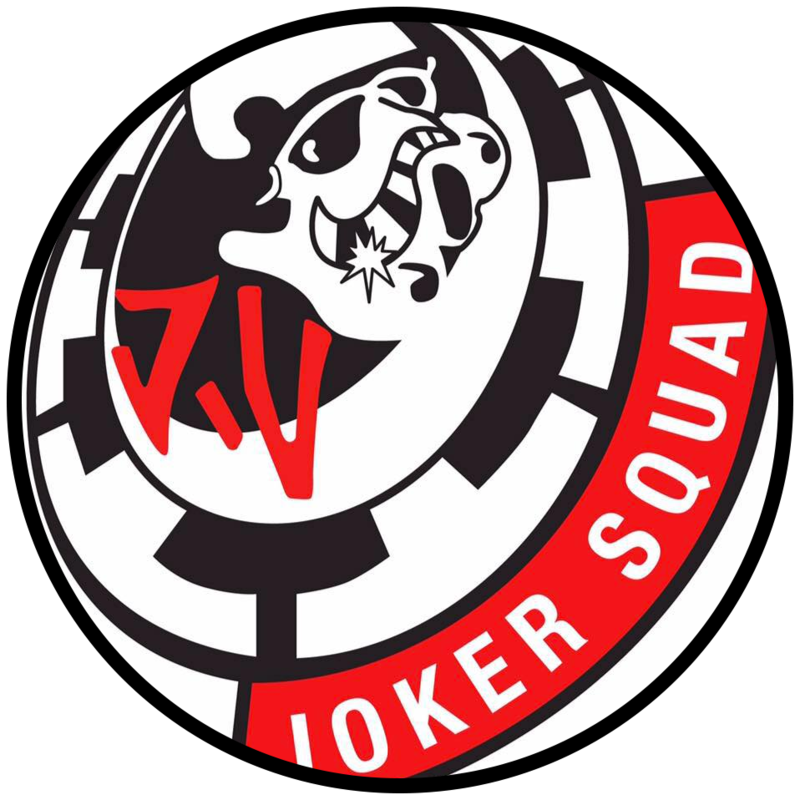 UK Garrisons + Isle Of Wight Garrisons & Prop Group + Joker Squad UK come to Portsmouth Comic Con 2019! 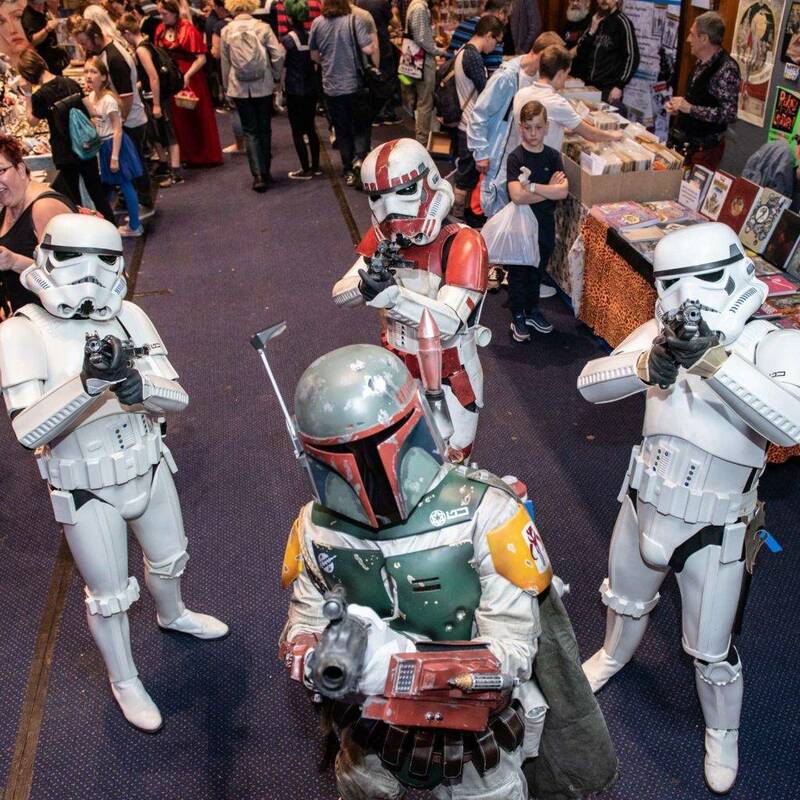 Portsmouth Comic Con is set to be the ultimate place to be in the UK this year for Star Wars Day, being the only place you’ll find members of The UK Garrison, Isle Of Wight Garrison and The Joker Squad UK in the same place at the same time. 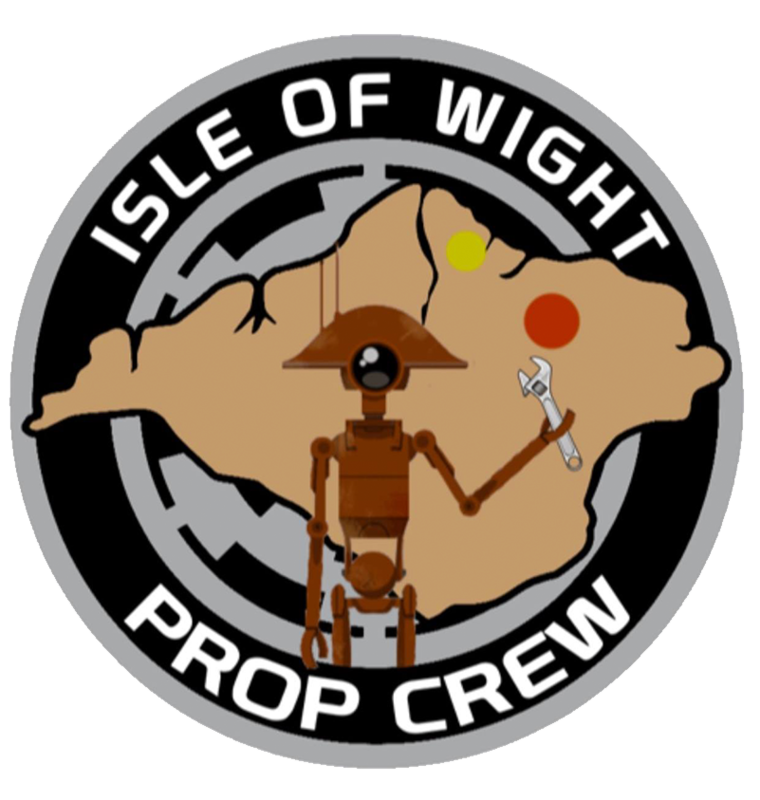 Appearing at Portsmouth Comic Con in a huge way, The Isle of Wight Prop Crew will be bringing with them a movie-standard, full sized display speeder bikes, both of these displayed on the backdrop of a large, authentically reproduced Endor bunker back drop. 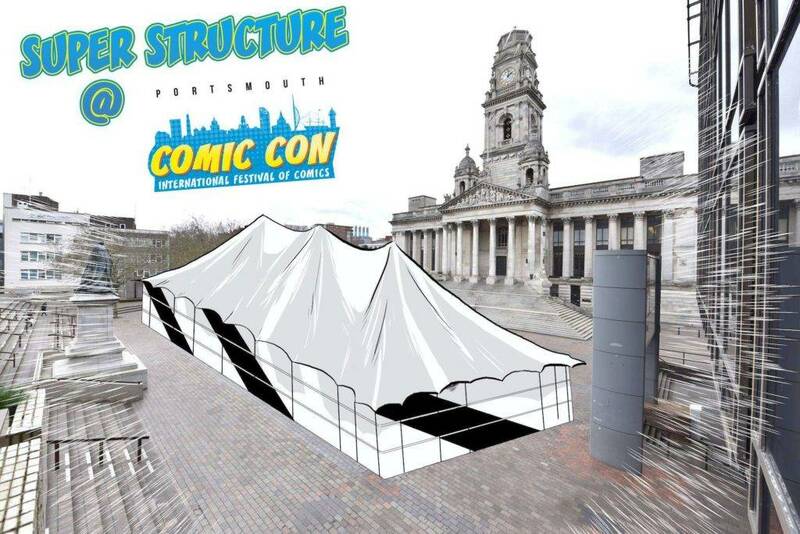 This will be based in the recently announced Super Structure outside Portsmouth Guildhall, truly cementing Portsmouth Comic Con as the biggest and most talked about Comic Con on the South Coast. 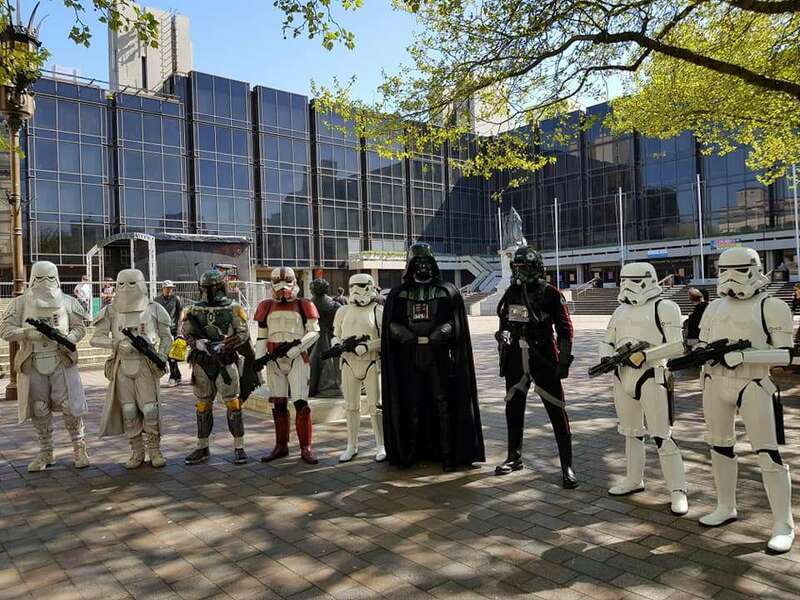 You will also have the opportunity to meet and greet with a huge number and range of characters from the Star War franchise, with photo-opportunities. Please note, participants must be present at least 10 minutes prior to the showtimes, otherwise places in the show will be offered to standby list.  12pm: The Righteous Path: Trials of a Jedi. Ages 12 & under.  Parent/guardian must sign them up. 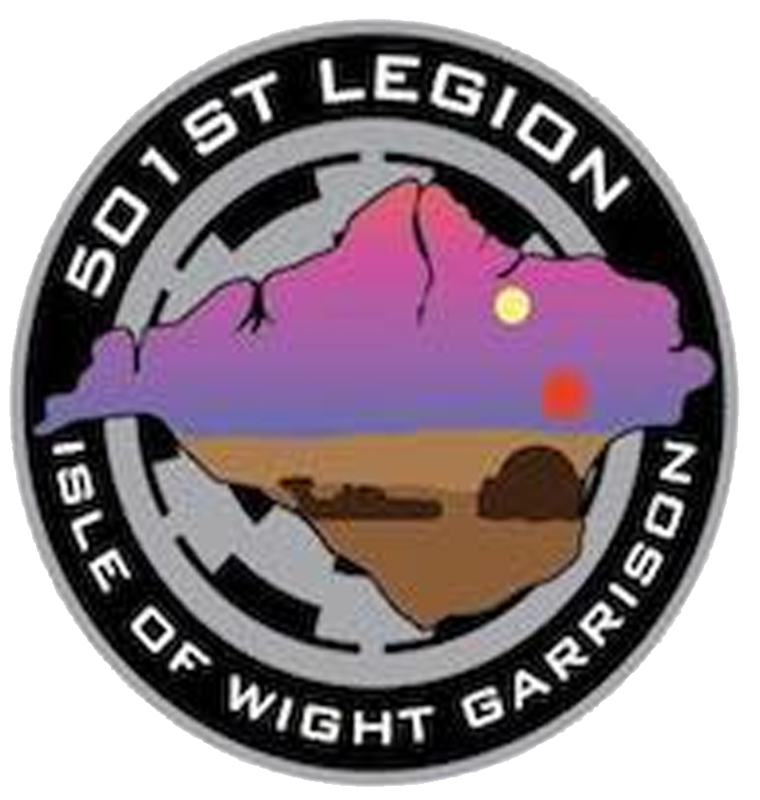 Join Master T'rill on a path to learn the ways of the force, with help and guidance from Jedi Master Yoda, and to face tests and challenges to enable them to overcome their fears. 2pm: The Rule of Two: Two there are, no more, no less: Master & Apprentice. 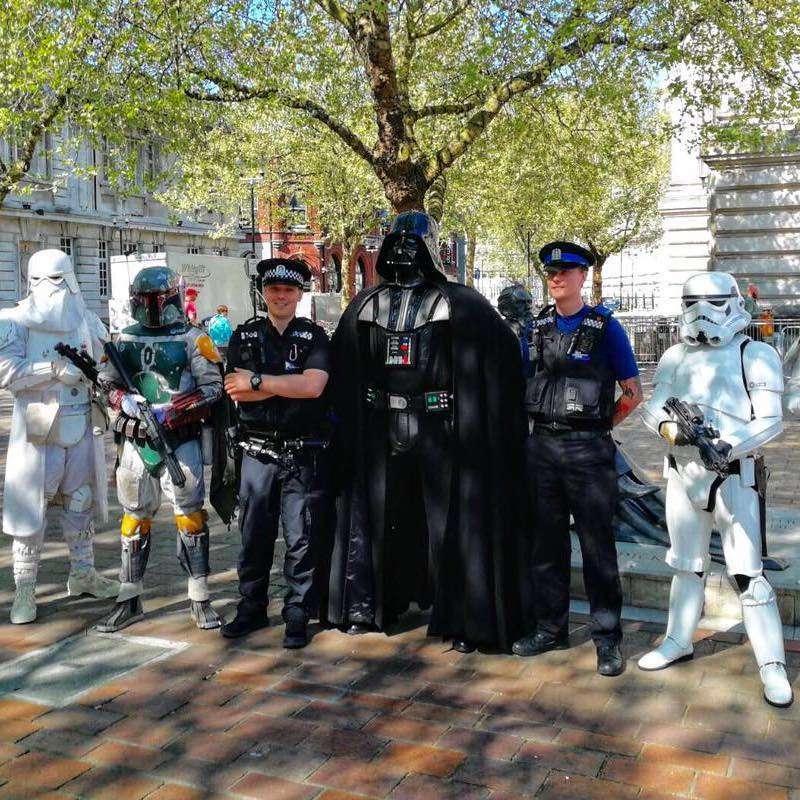 Looking for duo combination of parent/child to feature, where they can battle their wits against each other whilst learning a lightsaber routine. 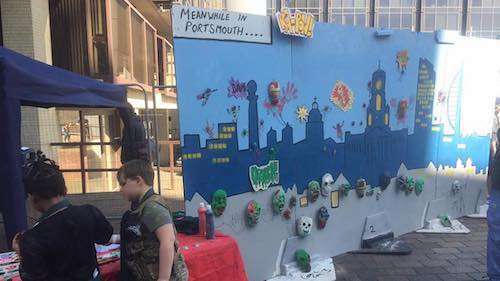 James Waterfield (Lawn Of The Dead) will be running a Street Art Workshop outside the Guildhall again for Portsmouth Comic Con 2019! 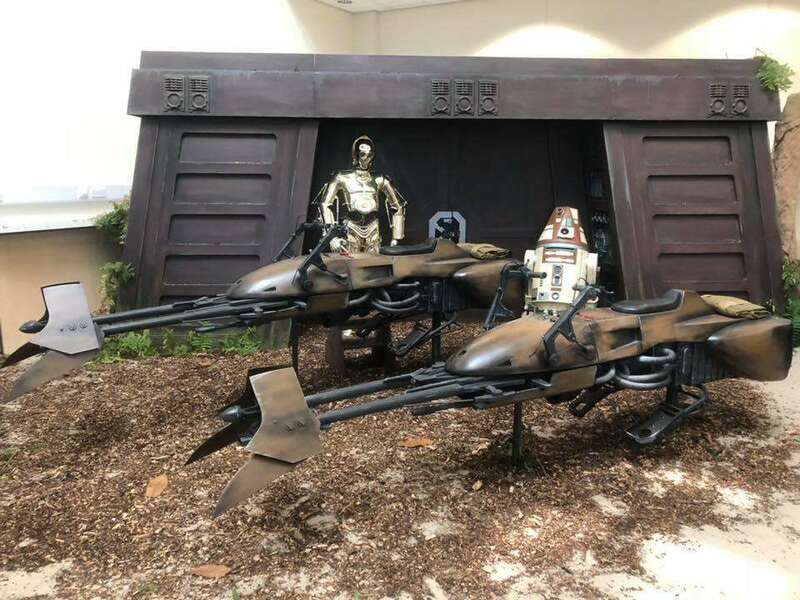 Come and paint your own Star Wars themed model and take it home for free! 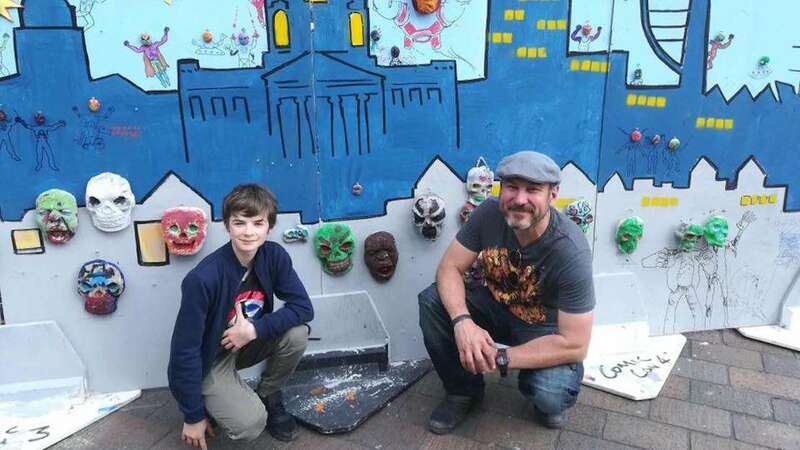 Over the weekend you will help create a huge interactive Star Wars-themed mural!